Courtesy of AFN Realty, Milton Chow. Wonderful family home on a tree lined street in downtown Riverside! This Cozy 3-bedroom, 1-bathroom has been recently renovated. New front door welcomes you into this updated and spacious living room that leads you to an open floor plan. There are new ceramic tile flooring throughout as well as new windows and paint. The kitchen has been recently updated with new cabinets and granite countertops. Laundry/utility room off the kitchen and the water heater has been recently replaced. There are 3 spacious bedrooms with new carpet and the bathroom has also been completely renovated. New central heating and A/C has been installed. The detached garage is accessible through a new gate at the driveway and the backyard is completely fenced in. Very close to schools, parks, shopping, downtown Riverside UCR and the 91 and 60 Freeways. Ready to make this home your own? Schedule your showing today. Please, send me more information on this property: MLS# 319000544 – $327,000 – 4415 Michael Street, Riverside, CA 92507. 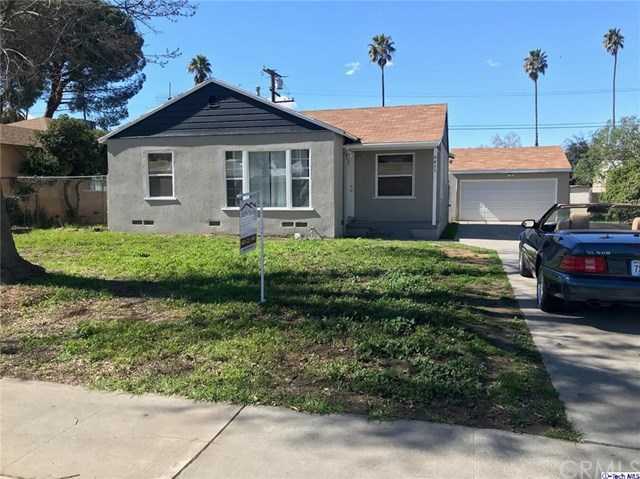 I would like to schedule a private showing for this property: MLS# 319000544 – $327,000 – 4415 Michael Street, Riverside, CA 92507.